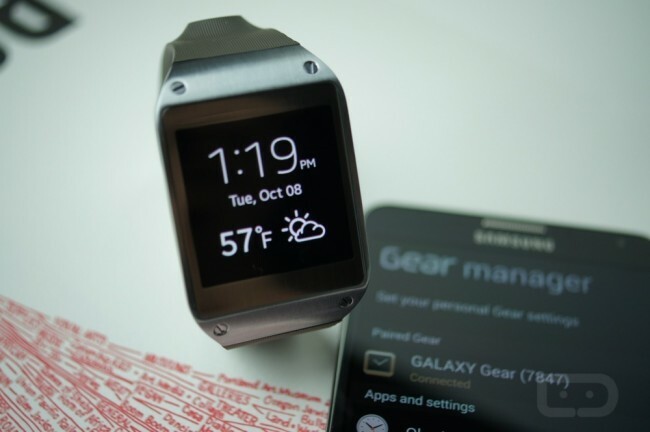 Last week, the Galaxy Gear smartwatch received its first firmware update from Samsung. The update wasn’t anything too special, but now that the official Gear Manager application has been updated as well, the smartwatch just got a whole lot more useful. With the updated Manager, you can select to have full notifications from any app on your phone transferred to Galaxy Gear – no more Samsung telling you which apps’ notifications are compatible with Gear. You can choose your Hangouts, Gmail, WhatsApp, and anything else you might want. This is the way it should have been when first launched. During our review, one of our factors in deciding that the Galaxy Gear wasn’t worth its price tag is the fact you were limited to what notifications you could receive and how much detail was included in them. For full details or mini-previews of notifications, you were limited to the stock Messaging app, Samsung’s email app, and a few others, but the experience was just poor. If the app wasn’t on Samsung’s select list, all you would see was an icon along with a message telling you to pull out your phone. A smartwatch is supposed to solve problems, not create new ones. So, if you have Galaxy Gear, make sure are running the newest firmware and have downloaded the new Galaxy Gear Manager app from the Samsung App store and enjoy.